Åk på sightseeing i Glasgow i dubbeldäckare med öppet tak på en hoppa på/hoppa av-rundtur med City Sightseeing. Upptäck den livliga, kosmopolitiska staden i din egen takt, lyssna på den inspelade guidningen under den 110 minuter långa rundturen och hoppa av vid fler än 20 strategiskt placerade hållplatser för att utforska Glasgow. Bussbiljetterna är giltiga i en eller två efterföljande kalenderdagar. Den mest levande och spännande staden i Skottland har utmärkta museer och konstgallerier plus vackra parkområden och byggnader. 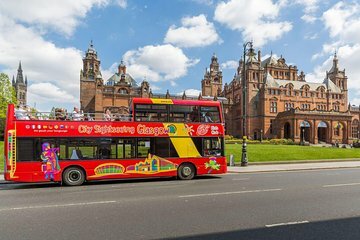 Kliv ombord på en City Sightseeing-rundtur på någon av 22 hållplatser i Glasgow och njut av panoramautsikten från dubbeldäckaren med öppet tak. Biljetten gäller för 1 eller 2 dagar i följd. Den inspelade guidningen presenterar Glasgows sevärdheter under hela rundturen som tar cirka 110 minuter. Hoppa på och av så många gånger du vill. Besök George Square, Glasgow Cathedral, Merchant City, Barras och mycket mer! I Resplanen hittar du en fullständig lista över hållplatserna. Didn't have a problem when we first boarded the bus at Glasgow Central, but when we tried to reboard at George Square, they said we needed a printed ticket. Great tours, very convenient. Travelers without a printer should NOT buy online because you need a printed ticket for the bus. Also if it's your first visit, it's nice to use the buses that say live tour guide on them. The tour guides are very good. What a great introduction to Glasgow! The full tour is about 90 minutes which helped set our bearings and gave us things to consider visiting in more detail. The guide had a wonderfully heavy and enchanting Scottish accent, though at times my ears and brain found it a bit difficult to comprehend. It would help if the bus had more speakers up top, and it would help even more if the speaker volume was turned up. The tour includes a drive through many lovely tree-lined streets, so take heed and avoid getting slapped in the face by tree branches if you're up top on the left side of the bus. 3 tours in one ticket was well worth the money. In 2 days we were able to see everything on all 3 routes. We even visited the castle palace and Britannia without a line. With my ticket I was able to fast track into Edinburgh castle. I used the ticket first thing in the morning to help avoid the crowds. As Hollyroodhouse was closed I did however tour the Queen's Gallery. Most impressive was the Royal Yacht Britannia - of all the tours I spend the most time on this particular tour and treated myself to tea/sandwich on the Royal Tea Deck. This 2 day combination was just perfect for my time in Edinburgh May 22-25 2018. 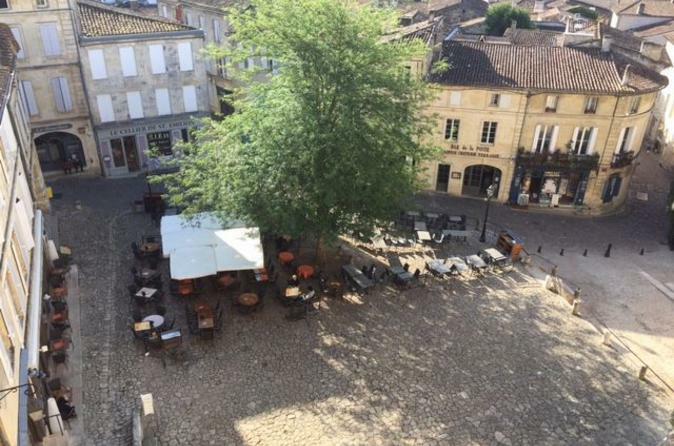 The very best way to acclimate to a new city and learn a bit about its history.